There are many fruits and vegetables that assist in whitening your teeth such as carrots, celery and apples. These foods contains ‘cellulose’ a natural abrasive that fights away enamel and assist in whitening your teeth. Bananas are also a fantastic remedy to rectifying stained teeth, and all you need is the peel! Bananas are high in potassium, magnesium and manganese which assist in the fight against decay. Rub the inner layer of the banana peel over the tops of your teeth for roughly two minutes. This process can be repeated twice a day to achieve the desired result. For more instantaneous results, here are some other at home remedies. Baking soda and lemon work wonders together to whiten teeth. Lemon is a natural bleach, combined with baking soda being a naturally mild abrasive. Combined, they whiten teeth and scrub away plaque and stains. Add baking soda into a bowl and slowly add the lemon juice, stirring the mixture until it forms the consistency of toothpaste. Apply the paste to your toothbrush and apply to all teeth. Leave for one minute and rinse. To avoid the acidity of the lemon ruining the enamel on your teeth, be sure to use this method once a week, alternating between lemon and water. Activated charcoal is a wonderful remedy for many things, including teeth whitening. Activated charcoal can be purchased in both powdered and capsule form from your local chemist. 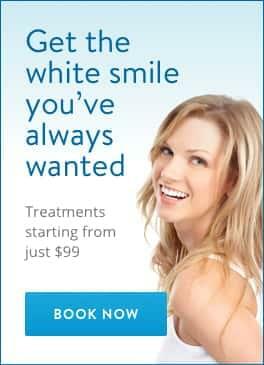 For teeth whitening, the powdered version is used. Pour a small amount of powdered charcoal in to bowl and wet your toothbrush. Dip the wet toothbrush into the charcoal and brush your teeth as normal, for roughly two minutes. Rinse thoroughly. This method can be used as often as desired. Hydrogen Peroxide 3% can be purchased from your local chemist and is safe to use for oral hygiene. Using this daily can vastly whiten your teeth and is simple and easy to use. In a cup, pour two tablespoons of Hydrogen Peroxide. Swish this in your mouth until you feel the solution beginning to foam. Spit the Hydrogen Peroxide into the sink and rinse with water. After you have finished, brush your teeth as normal. This method can be used daily to whiten your teeth over time. Other ways to whiten your teeth are to maintain good dental hygiene. Here is the list of best taxi WordPress themes This can be achieved by brushing twice a day and flossing. Cutting tea, coffee and cigarettes out where possible will also assist in preventing stains and maintaining healthy teeth and gums. Give these simple remedies a go and save yourself a trip to the dentist!